It’s hard to believe, but I don’t think we’ve posted about this yet–the next Kidlitosphere Conference is already well into the planning stages, spearheaded by our own Charlotte Taylor of Charlotte’s Library and Mia Wenjen of Pragmatic Mom. It’ll be in Providence, RI on March 22-23, 2019, and it’s got its own nifty website! The latest awesome news about the conference is that Charlotte applied for and GOT a sizeable grant from the Providence Tourism Council, which means we can stretch our small budget and make the conference an even more memorable experience for everyone. This next con promises to be bigger and better than ever, too, with Charlotte and Mia at the helm. Reaching Readers is the theme, and there’s already an incredible list of attending bloggers and authors who have plans to come. 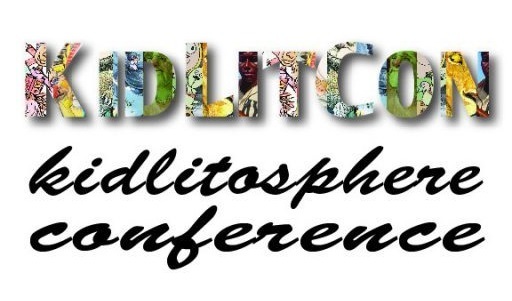 If you’ve been to KidLitCon before, you’ll know that it offers a far more intimate and less formal opportunity for bloggers, authors, librarians, teachers, illustrators, and other devotees of kidlit to come together and discuss current and ongoing issues, as well as sharing our areas of knowledge and expertise for the benefit of the kids (and, let’s face it, adults) who read and enjoy books for young people. Speaking personally, it’s at KidLitCon that I “found my tribe,” so to speak–I’ve made lifelong friends with fellow book lovers who might be writers, readers, or both, but regardless of our actual job titles, we share that same passion. I’m planning to attend (although there’s a possibility I might be traveling elsewhere at the time, I’m hoping to make it all happen!) and look forward to meeting even more members of the tribe–so if you’re interested, go check out the programming notes and get involved in a panel!